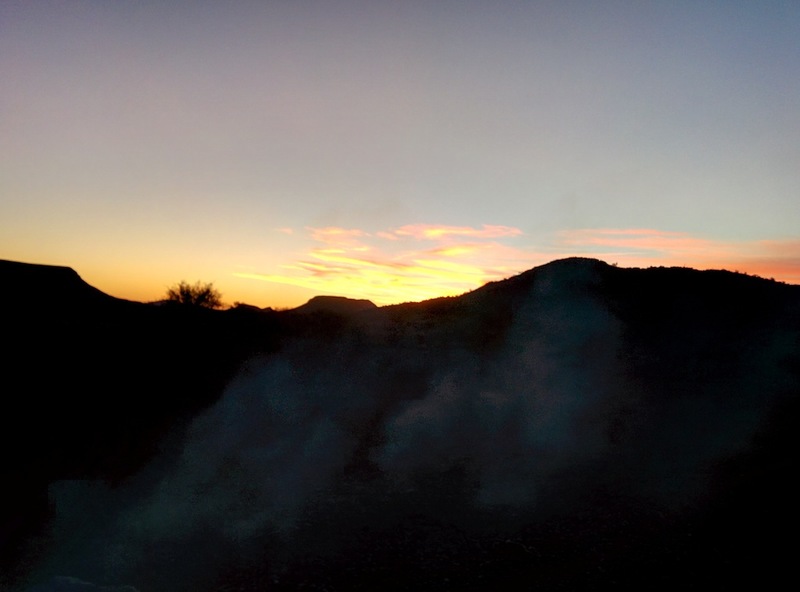 After spending the day exploring the Agua Fria National Monument (another one of those Brown Sign Finds) and the Bloody Basin area it was getting late and we needed to figure out a place to stay for the night. 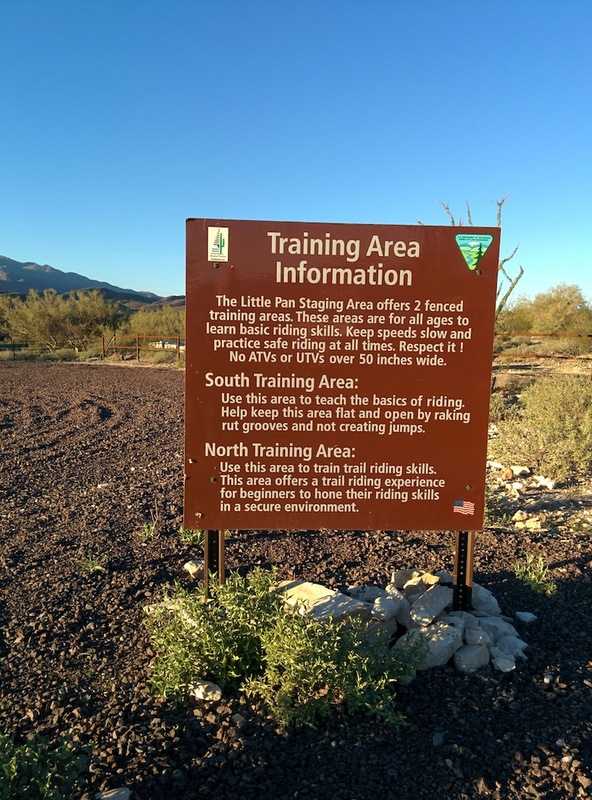 We seem to gravitate towards BLM lands when given the option and this is no different. This time we made the mistake of believing the Waze app and were treated to a little out-of-the-way scenic route option before we figured out what was going on. Part of the issue is the app said “turn here on this specific road” and, of course, the sign pointing that direction had a different name on it. But Waze, owned by Google can’t be that wrong can it? Indeed it can. Not helping matters is the crap AT&T signal we are intermittently getting in the area and so when Waze says “Recalculating” and that takes a couple of minutes we just decided to “go thataway” and see what we see. 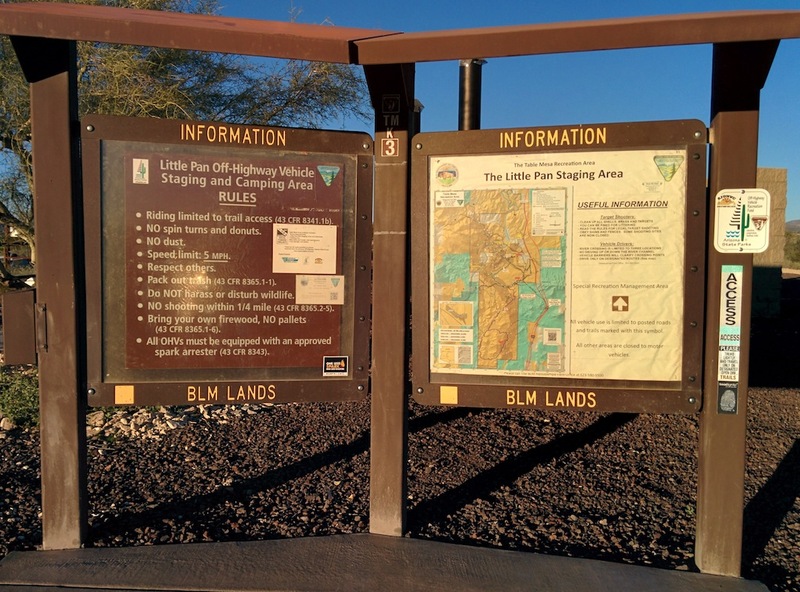 As an aside – that was the moment I decided to become a Waze Map Editor and have since made corrections to map data all over the Southwestern and Northwestern United States to help my fellow travelers. What seems to have happened is that the combination of poor data and GPS reception made the Nexus 5 think were headed in a direction 180 degrees from what we were actually moving. It was kind of weird though that the directions Waze was parceling out were generally corresponding with what we were seeing and we just went for it. My first clue that we were not where we (or the phone) thought we were as when the directions said “Turn left on this Road” and that road had a gate closed across it. 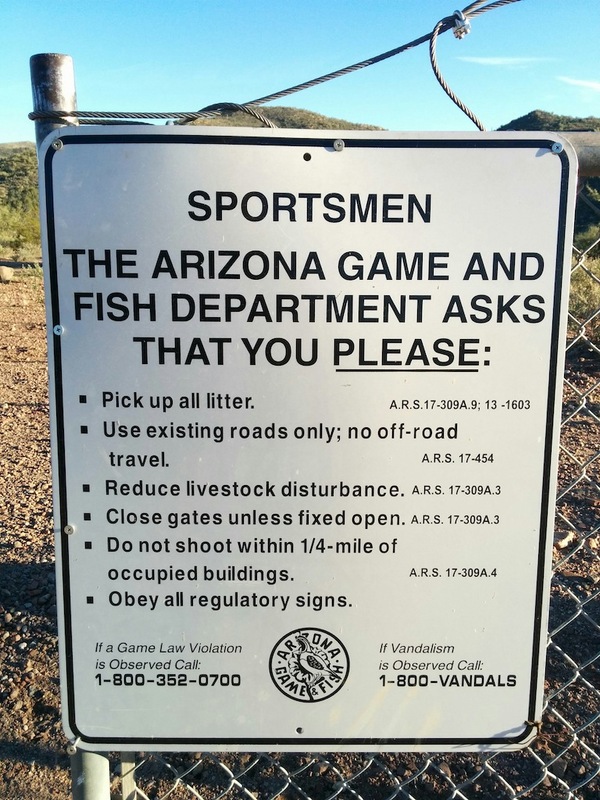 The gate wasn’t locked and a general rule on public lands is to leave gates as you found them when passing through. So, we swung it open, drove on through and closed it behind us. We stopped and took a closer look at the sign actually on the gate and decided that yes, we could follow those rules and so we kept going. That is, until we were told to “turn left up this little nameless road” and that ended up being, at best, a rocky, ATV-width, rut. Don’t get me wrong, the Intrepid Tacoma could have gotten up that hill, on that path but, knowing we were having a bit of a technical snafu I thought maybe it meant the next “left up this little nameless road.” So that’s what we did. At least it was actual truck width. Soon enough though we came to a dead-end and what was possibly a place where cell phone thieves come to dispose of their ill begotten gains. Dozens of pieces of plastic cell phone carcasses were in a pile as was a little fire ring and another of those 5-gallon bucket with a seat on it toilets. Gave it a moment’s thought about staying and decided to head back the way we came because this, obviously, was not a BLM campsite. Back to the gate, open, drive through, close it behind us like good stewards of the land and back out towards Hwy 17. 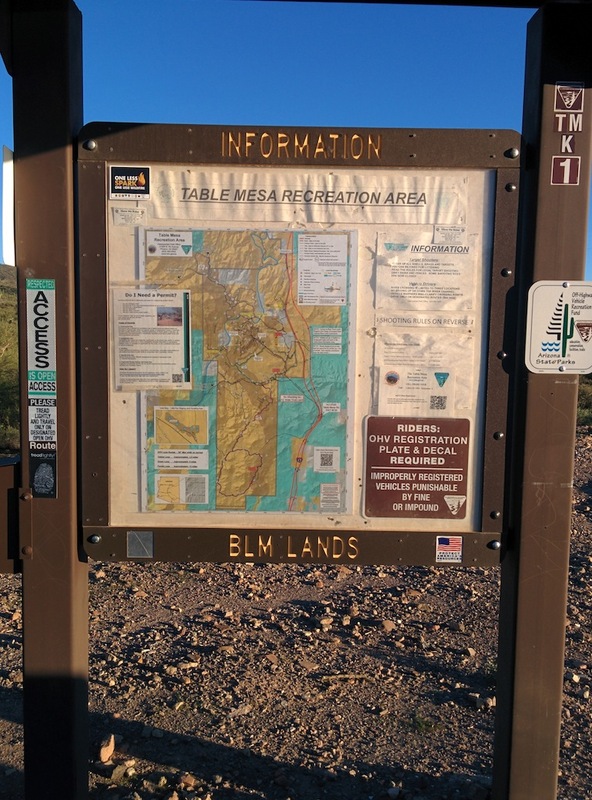 Decide to restart the Nexus 5 and that seems to have helped with the GPS issues and now, even though Waze stills says to turn on this road which is actually named something different, we take that gamble and soon enough come to the Table Mesa Recreation area sign. This, at last, is something that actually corresponds to what Waze is telling me should be there. 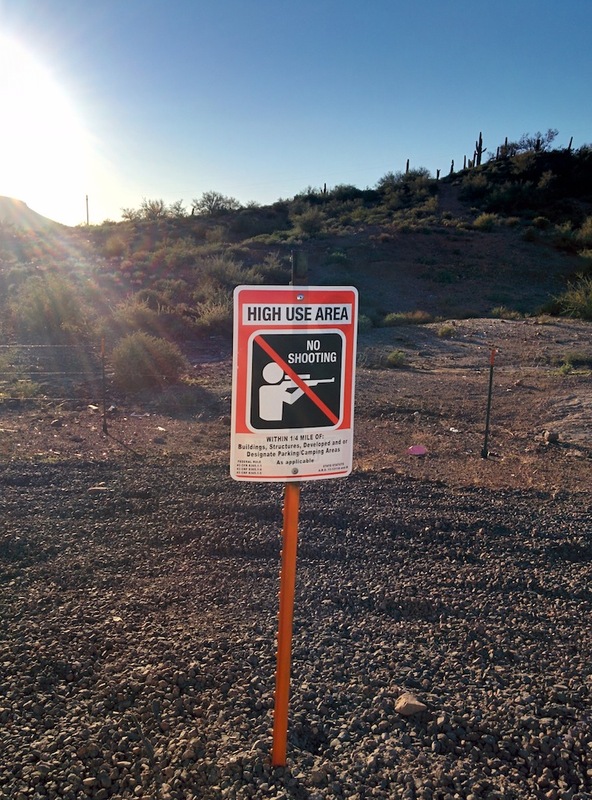 In this same little turn-around are signs indicating that it is a High Use Area and No Shooting is Allowed. The sun is receding so we keep on towards our destination for the night. This is a nicely maintained dirt road with minimal washboarding so we slightly exceed the speed limit to skip across the top of the bumps. A couple of minutes later we get to the Little Pan Staging Area. Not another person in sight. Another reason we aim for mid-week at places like this. It’s not much to behold, just a big parking area, a fenced off zone so people can learn how to ride an ATV safely, a single picnic table and a pit toilet. Since this is, again, not a planned destination, just an overnight stop what more do we need? Well…a drink would be nice so we pull up and claim the picnic table, unload our stuff and make a Jack & Coke. Ahhh. Nice. After a few sips we notice some litter left around and so decide to engage in our usual beautification program. Someone left behind a cracked styrofoam cooler and we use that as our “bag” for the collected detritus. 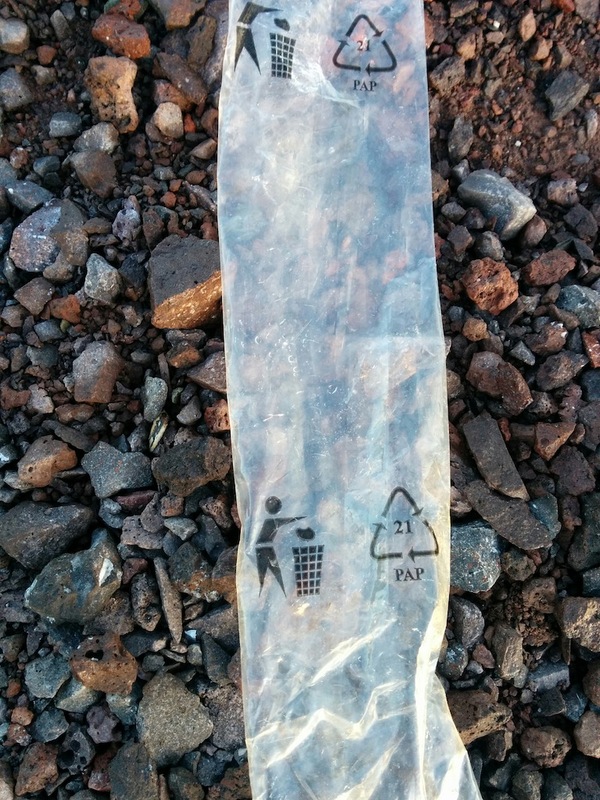 Amazingly there is no dog poop but some less-than-upstanding person left a wadded up disposable baby diaper which gets me 10 more Poop Karma© points. Yay, I guess. Right about the time I make a fire in the single fire pit which sits about 50 meters away from the picnic table, someone apparently decides to ignore the No Shooting sign we saw earlier and starts up in full auto mode. Rock & Roll. Fun fun. Hey, this is Arizona. I have everything I need to join that type of party and very briefly consider driving over that hill and around that corner to see if they mind if I shoot with them but then decide it is always good policy not to interrupt or, worse yet, surprise people wielding fully automatic weapons. Maybe I’ll collect some of their brass tomorrow morning for reloading. The must have had lights and money because they went long past dark, almost to 10pm and must have let loose several thousand rounds between them during those few hours. Once they finished, quiet descended over the area and we settled in for the night. The next morning as I have my customary freshly ground coffee beverage and Willow her breakfast of some of her high-end nasty dry crap we are joined by the first people we have seen in 24 hours. Two guys from the BLM here to power wash the bathrooms and tidy up the area before the coming weekend’s rush of ATVers. I showed them our cooler of collected stuff and they graciously offered to take it with them and dispose of it properly. Nice. After packing up we headed back out the access road and made a quick stop at the impromptu shooting range. Impressively, they picked up most of their brass or were using brass catchers as there is maybe only 100 shells laying about which I collect. It’s quality Lake City brass, now only once-fired so I intend to reload it a few more times. Brass doesn’t grow on trees, this is a bonus. NextLayering. It’s all about Layering.